For whatever reason sometimes one must install nails through the plywood and into the framing at an angle. This is a unconventional plywood installation method and questions arose regarding its effectiveness and whether or not the plywood should be removed, framing modifications made, of the plywood re-nailed. This report discusses the effect of angled nailing on shear walls. Recently there has been inquiries regarding the effect of driving nails at an angle for shear wall and diaphragm nailing. Specifically, does driving nails at an angle degrade the performance of the shear walls and diaphragms? Does the toe-nail factor listed in the 1997 NDS apply? It is APA’s experience that driving the sheathing nails at an angle, referred to as “slant nailing” is fairly common practice for attaching sheathing to the framing members. Although the terms “slant nailing” and toe-nailing are sometimes used interchangeably, the terms have different meanings and the connections are used for different purposes. Toe-nailing is illustrated in the attached Figure 12A excerpted from the 1997 NDS. Professor Breyer1 states that a toe-nailed connection occurs when “it is not possible to nail directly through the side member into the holding member”. He further states that “toe-nails are nails that are driven at angles of 30 degrees to the side member …”. Breyer makes the distinction between toe-nailing and slant nailing, as the toe-nail goes through the end grain of the side member, and the slant nailing does not. If a connection is truly toe-nailed, then there is a reduction in both the withdrawal strength and the lateral strength of the connection. 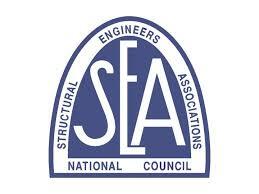 A common practice is to drive a nail at an angle, “slant nail”, to fasten wood structural panels to framing members. Although APA does not have specific examples of this practice for non-residential roofs, a similar detail exists in Design/Construction Guide: Residential & Commercial for applying T1-11 or Channel Groove siding. In this case, slant nailing would be used to maintain the minimum 3/8″ edge distance of the panel and maintain adequate edge distance of the lumber. Also, slightly slanting the nails helps to avoid “shiners” when two panels meet on a common 2x nominal framing member. Although the NDS has provisions to address toe-nailing (a reduction factor Ctn), it is silent on slant nailing. Application of the European Yield Equations from the NDS to slant nailing indicate that no adverse effect will occur since the bearing area of the nail is only slightly affected. Thus, it can be concluded that the impact on the performance of the diaphragm or shear wall would be negligible. However, the angle used for slant nailing should not be so extreme that there could be serviceability problems, such as where portions of the head of a nail might provide an uneven surface with respect to the top of the wood structural panel. Breyer, D. 1993. Design of Wood Structures, Third Edition, McGraw-Hill, Inc. New York, NY.